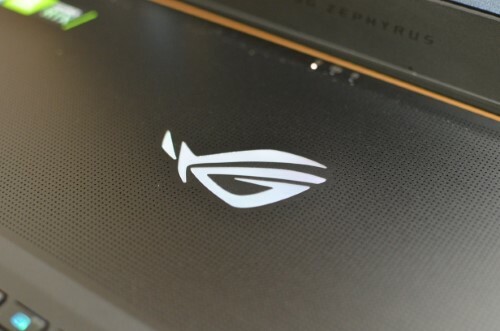 It’s RTX on for ASUS’s entire ROG line-up as we get hands-on with the RTX 2080 Max-Q equipped model of the big daddy: The 17-inch Zephyrus S GX701. 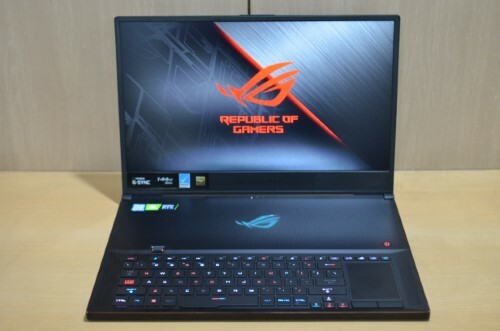 It’s not all big guns and rampaging horses with this gaming laptop because being a Zephyrus model, it’s impressively thin as well. One word: solid. 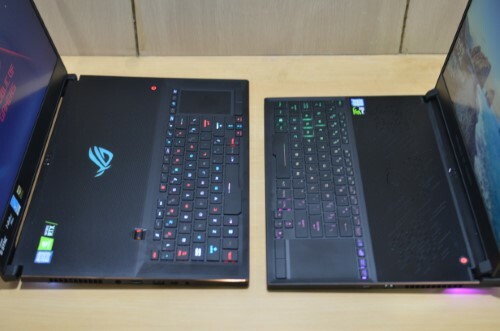 ASUS has done a good job of making the recent Strix and Zephyruses (Zephyri?) feel like solid slabs of pure gaming metal. 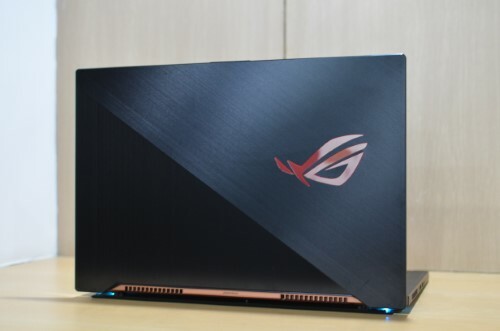 There’s no overly major change here from the previous Zephyrus models and it pretty much follows the latest ROG design language of brushed metal, squarish shape, a few ROG eyes here and there, and plenty of RGB. 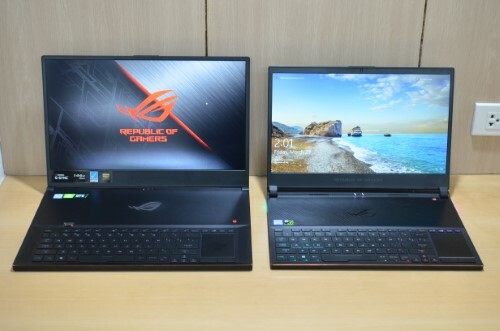 As a 17-inch gaming laptop, it does have a large surface area, but not as much as you’d think. Thanks to the thin bezels of the display, less space is wasted and earns you a little more wiggle room in your bag. 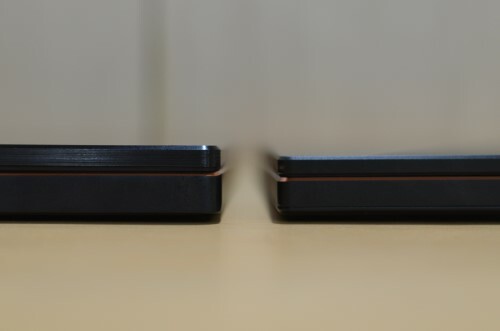 The polarizing keyboard makes its return here. 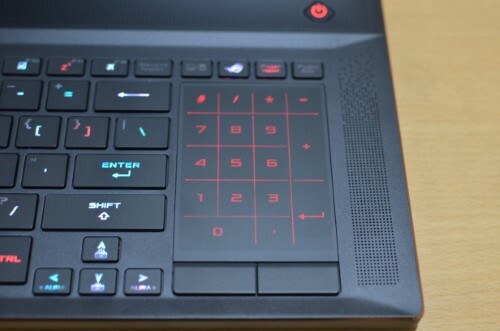 The keyboard itself feels good to use during gaming, but the placement makes it a bit awkward to use on your lap. 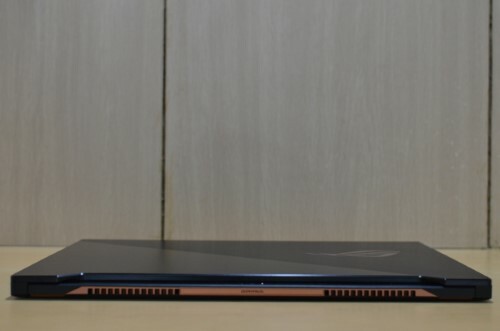 The extra above the keyboard is dedicated to cooling the heavy-hitters that is the hexa-core Intel Core i7-8750H and the Nvidia RTX 2080 Max-Q. 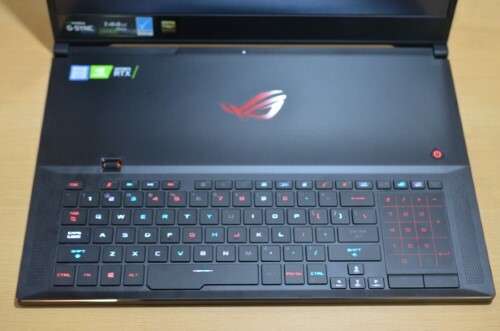 The per-key backlit keyboard enables users to fully customize the look to their taste. There are presets in the Aura Core software if you just want to set it and forget it. 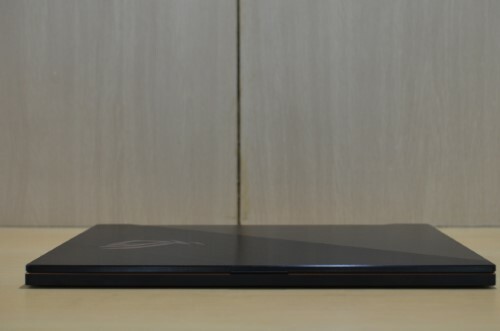 One cool feature that the Zephyrus S shares with its ZenBook cousins is the numpad integrated into the right-side touchpad. 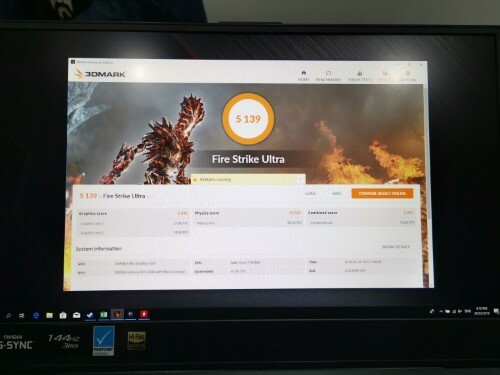 As with the Strix GL704, the display is an IPS-level 1080p 144hz display. 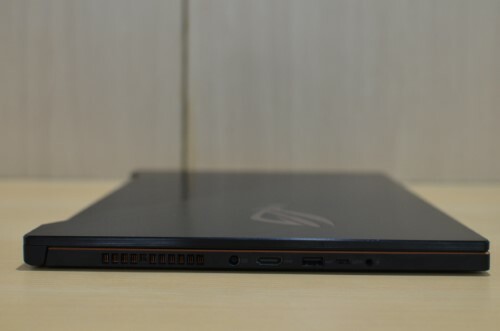 Note that ASUS calls this “IPS-level” but it’s still actually a TN panel. That honestly doesn’t bother us as much as it sounds, since color reproduction and viewing angles are great, for a TN panel. For content creation, it’s not going to be the best. 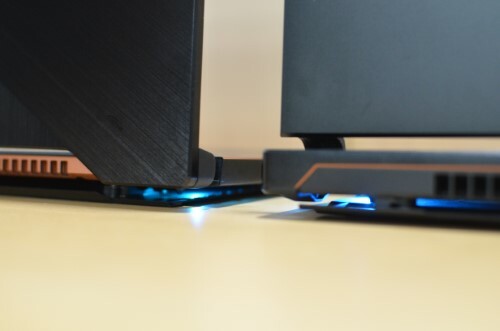 But for gaming, it felt very responsive and fluid enough that I couldn’t blame my noob performance in APEX: Legends on the Zephyrus S.
Nor could I blame it on the overall game performance. 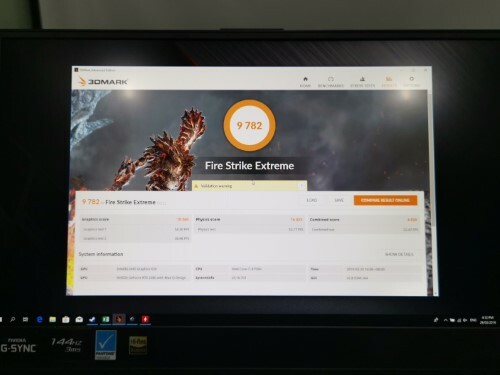 Thanks to the RTX 2080 Max-Q and Core i7-8750H, the Zephyrus S can really stretch its legs in 1080p gaming. 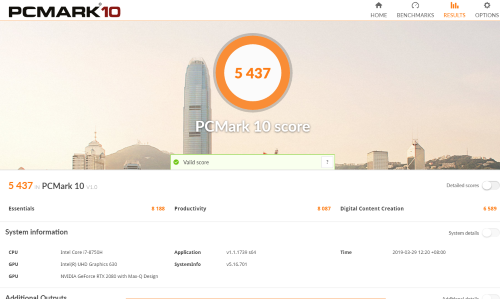 APEX: Legends was able to take advantage of the 144Hz display and average 123 fps during online gameplay on maximum settings. The cooling is also quite impressive. 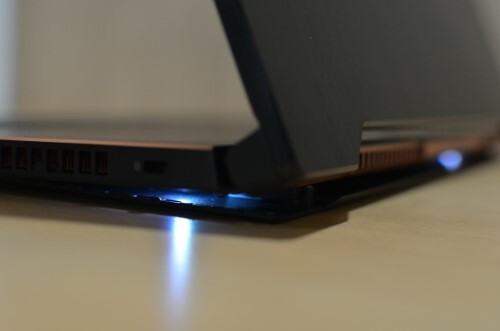 The dual 12V fans were audible during graphical intensive scenes, but not intolerable. 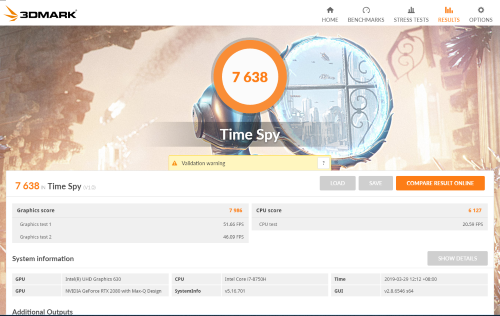 More importantly, the GX701 didn’t exhibit and thermal throttling and sudden framerate drops no matter which game we threw at it. It’s no secret that we love the Zephyrus models. 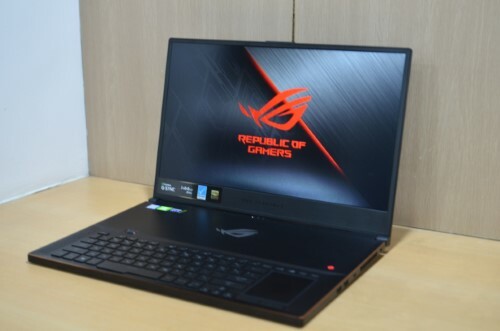 The slim profile, but top-of-the-line specs gamers unprecedented levels of portability and performance. If there are compromises on the GX701, it’s what’s been deemed unnecessary. Starting with what’s not immediately obvious: the webcam, there is none. There’s a clip-on webcam available in other markets, but it’s not available here. But let’s face it, if you’re using an external webcam anyway, you’d want something pretty high end for your streaming needs anyway. 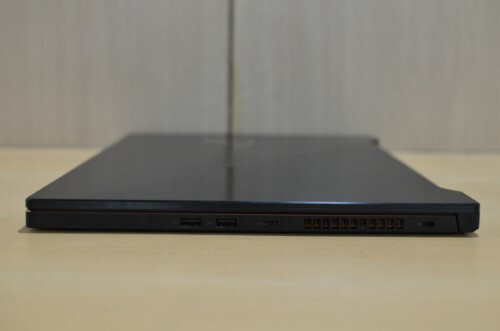 If the GX701 is a tad too big for you, there’s also the excellent 15.6-inch GX531 model and it even comes with a built-in webcam. 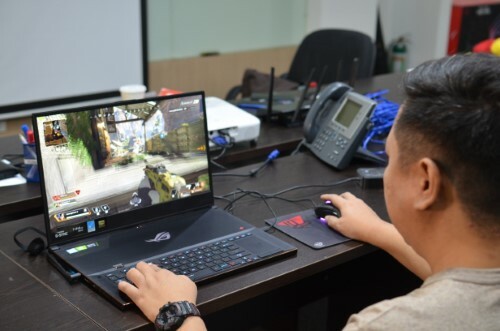 But with the actual size and weight difference between them not being that far apart, the larger 17.3-inch display and better cooling capacity on the GX701 really makes the on-the-go gaming experience all the better.